Every bride wants to have special photos taken at her wedding day. Here are some beautiful ideas you’ll want to try. Actually, I bet, after this article, you’ll want to get married right away ! 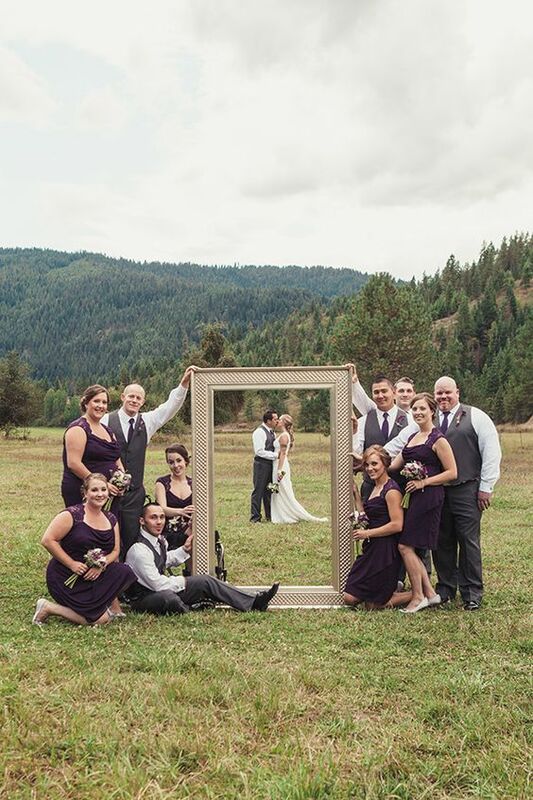 So many couples are doing this “frame idea”. I hope you get why. Every bride’s doing a photo with her bridesmaids. But, what about groomsmen ? 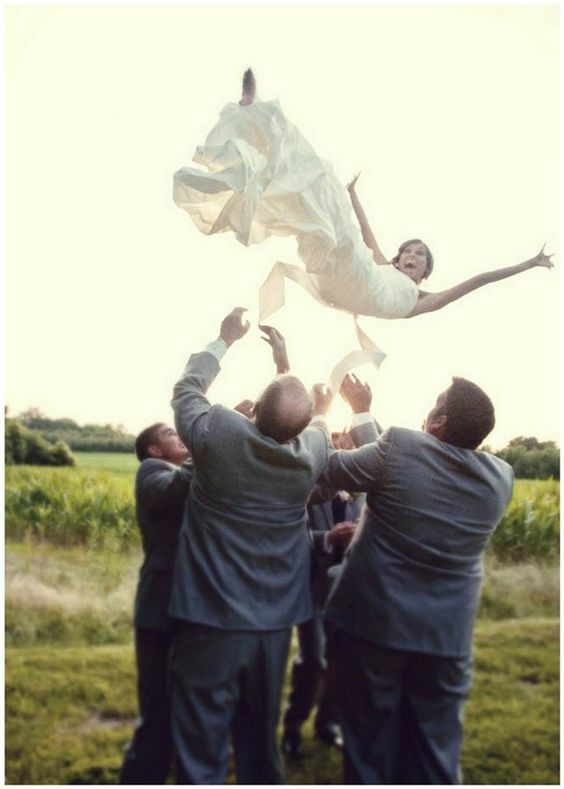 They sure deserve a cool photo with bride just like this one. Wanna know the secret behind this photo ? Sparkles and long exposure shot. Ask your photographer, he’ll know it. Maybe you’ll prefer something bit extreme like this one. Now, that’s an idea that comes with lots of fun ! Speaking of bridesmaids… Do you really wanna have a typical photo with your bridesmaids ? That’s rather boring. Try something like this. Be sure to wear pretty shoes ! You can’t deny this isn’t cute ! 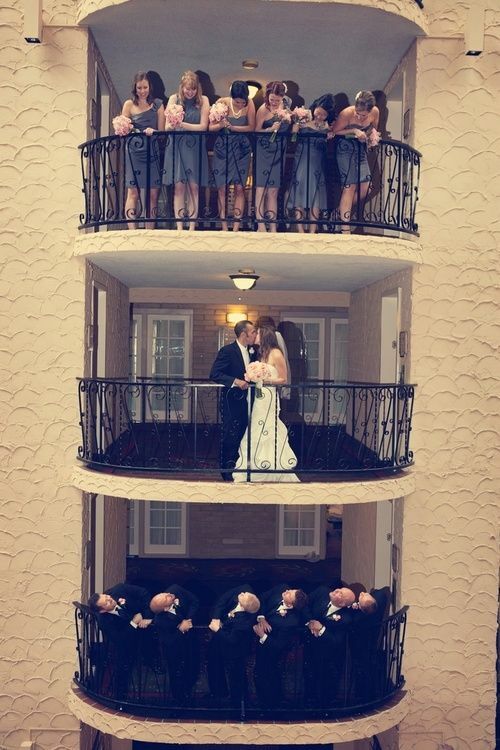 Such a great idea to include both bridesmaids and groomsmen in one photo.